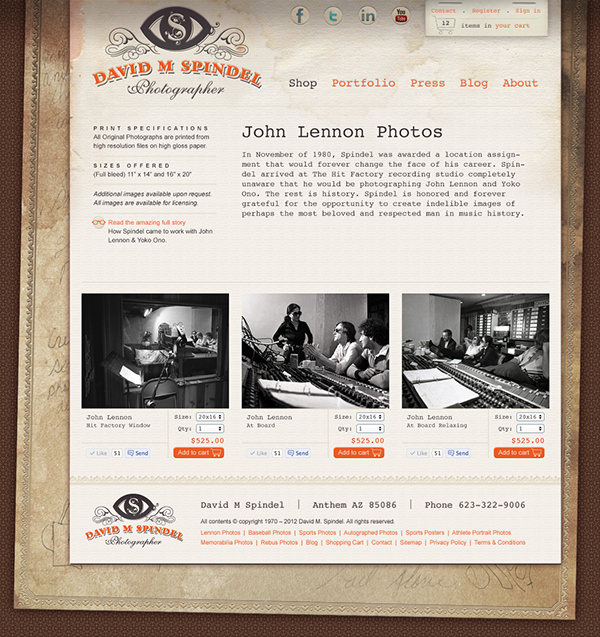 Spindel Visions is an e-commerce website for the man best known as John Lennon's photographer, David M. Spindel. David M Spindel is most known for being John Lennon's photographer, but also well-respected in the world of sports memorabilia. He inquired after an e-commerce site to serve as a platform for selling and licensing his work. 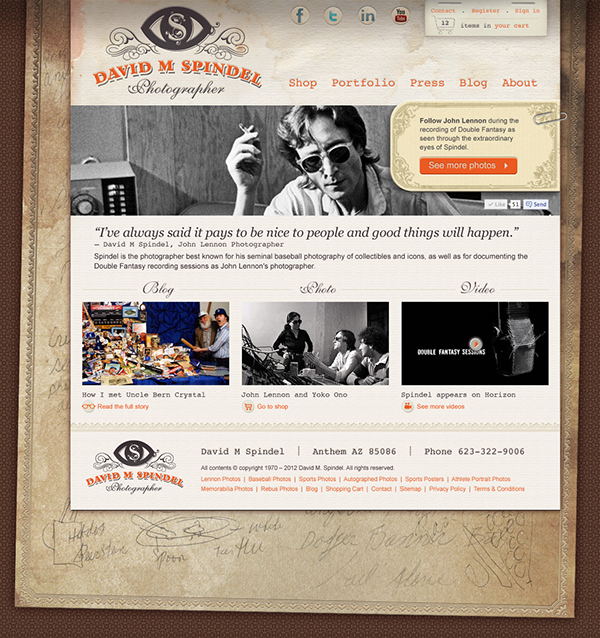 This site allows him to be in control of the content as the backend is built in with Prestashop.